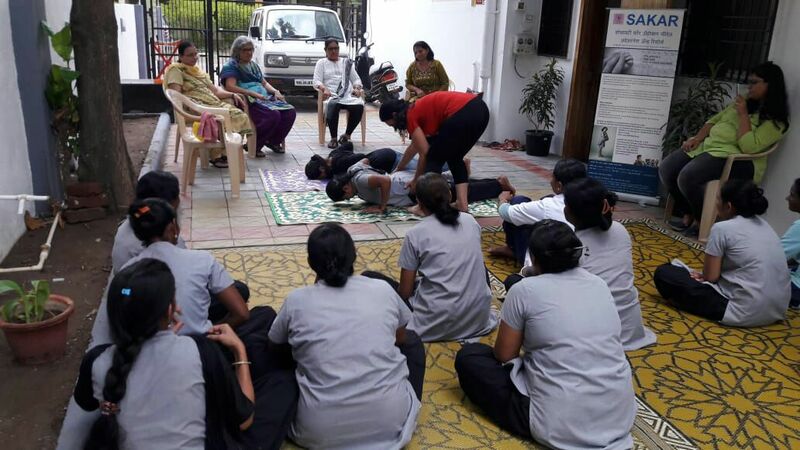 On the occasion of International Yoga Day which is celebrated on 21st June, SAKAR had organised a Yoga workshop for all its members and other staff. Mrs. Sanjana Nanivadekar, a Fitness and Yoga expert, stressed on the importance of Yoga in building a healthy body and mind. She also highlighted the role of Yoga in managing stress and leading a stress free life. 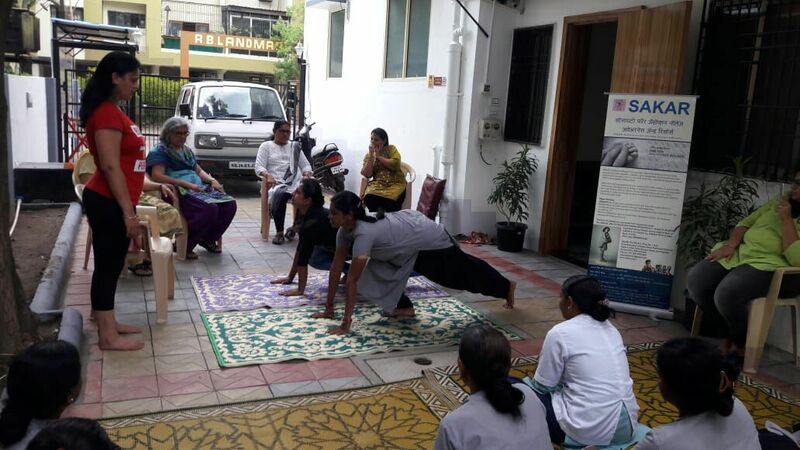 She explained the scientific way of practicing Yoga, Pranayama, Suryanamaskara, various knee and Back related exercises and also gave a demo of the same.The SAKAR team the practiced few aasanas under her guidance. The workshop ended with the staff taking an oath of making out time to practice Yoga at workplace for at least 15 mins daily in order to lead a healthy and stress free life.